Bethesda Softworks have announced that the PC version of The Elder Scrolls V: Skyrim will be getting the Skyrim Creation Kit to enable modding of the game using the same tools used to create it. PC players will be able to download this software for free from January 2012. They will also be rolling out a new Wiki and videos to help modders get started. 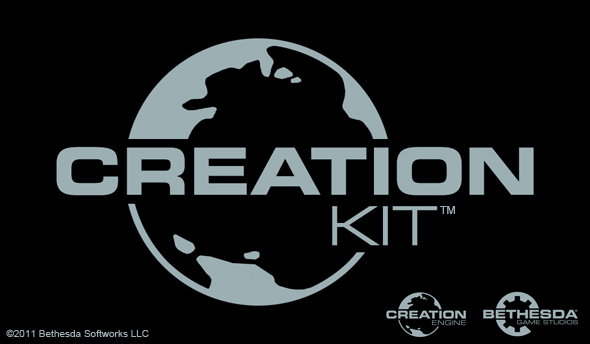 Bethesda have been working closely with Valve to integrate the Steam Workshop into the Skyrim Creation Kit. Users will be able to submit, browse, rate and download mods through Steam all for free and at the push of a button. This is fantastic news considering the huge amount of mods that have been released for Skyrim over the past 3 weeks and with the integration of the Steam Workshop we should start to see this service utilised across more games in the future. For the full press release see here. The Steam Workshop is Valve’s latest addition to Steam and currently only works with Valve’s Team Fortress 2, where players can submit their own created items, like hats or other insignificant aesthetic bits, which Valve may add into the game. Users can also rate and review others items. The scope of the workshop is the possibility of easier modding, which we will soon see with the Skyrim tools released in January, easier for the mod developers and easier for the players to download and use the mods. And we’re all very excited by it.